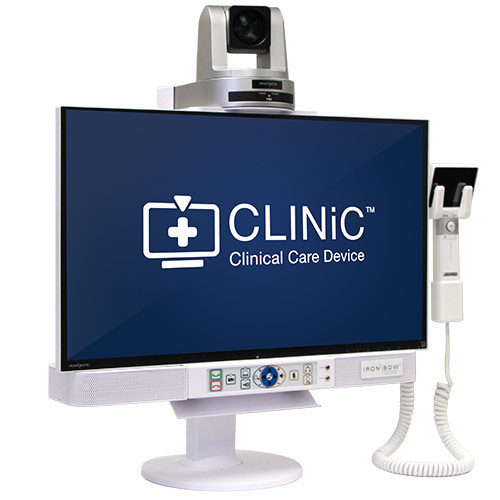 The Clinical Care Device (CLINiC™) is a purpose-built consultation device that provides an intuitive icon-driven user interface across a variety of form factors and use cases. 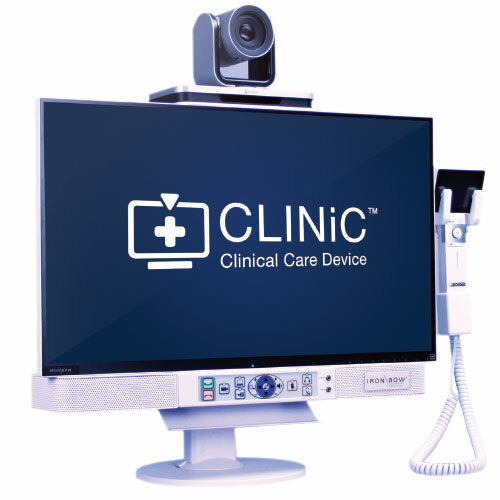 Capable of supporting synchronous audio, video and content sharing (PACHS, EHR, scopes/peripherals). 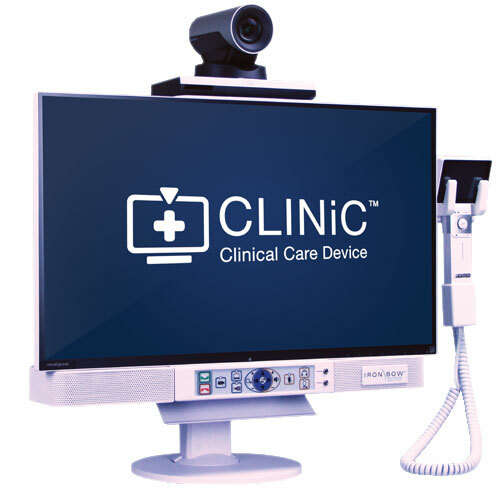 The CLINiC is available with open standards based SIP and H.323 videoconferencing. 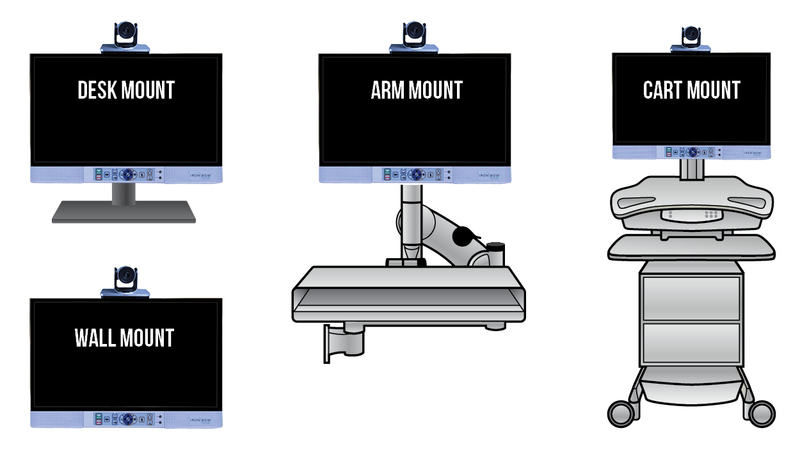 Using these standards is key to interoperability and enables the exchange of video calls and media between enterprise environments using the same standards based architecture. 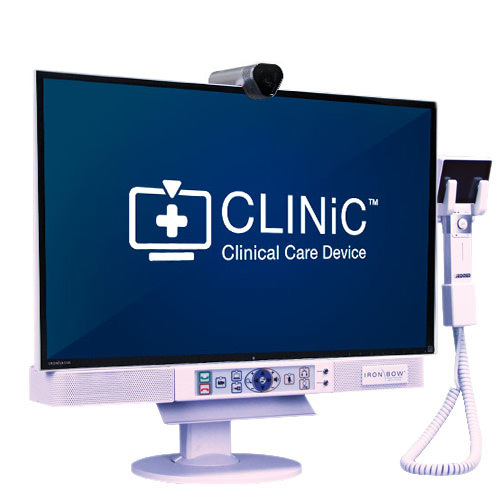 This provides IT administrators with seamless integration of the CLINiC into existing environments, enabling ease of deployment, management and support. 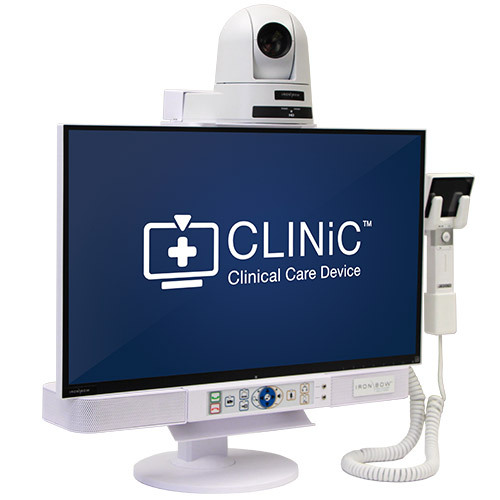 Perfect for deployments where space is at a premium, the CLINiC can attach to an existing medical cart, integrate within a new cart, be fitted to a wall or mounted arm, or used as a standalone unit. 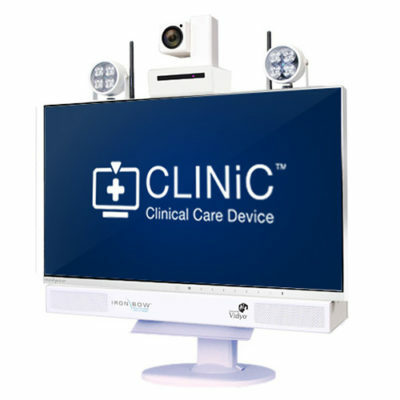 12X and 30X IR – Vidyo based environment; beaming microphone – noise cancelling quad microphone array provides increased audio reception via beamforming directed to a singular point in room. Coupled with full duplex echo canceling, the microphone array removes ambient environmental noise enabling clear HD audio.